Beautiful heirloom vegetables, sourced from small farms all over Japan, are the pride of the kitchen at Ramukana. 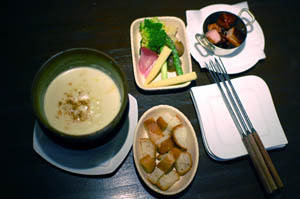 The menu's centerpiece is a hearty cheese fondue, served with raw vegetables, bread, and optional "toppings" such as the excellent smoked bacon chunks. A couple of nice Swiss house wines are available by the bottle, carafe or glass (Y5000 / Y2600 / Y900), along with reasonably priced French wines starting at Y3500. 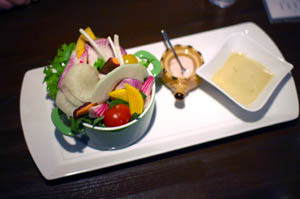 Among the impressive array of starters and side dishes, the bagna cauda is a standout, with nine or ten different vegetables (described in loving detail by our waiter) paired with a well-balanced anchovy sauce and a dish of artisanal salt. The homemade pork sausage is also excellent, and the shrimp, salmon and avocado salad was so good we were tempted to order a second portion. 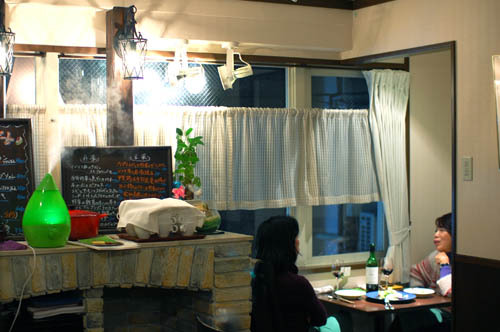 The atmosphere is very relaxed and casual, with a classic sixties-jazz soundtrack and homey, Alpine-village-in-Tokyo decor. Budget around Y5000 for ample food and drink. 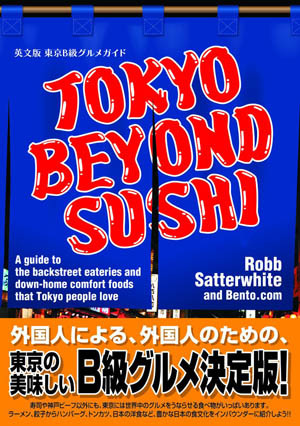 Shinjuku-ku, Arakicho 3-10, Dai-3 Halcyon 2F.